Are you feeling frustrated over an issue that management might not have resolved? 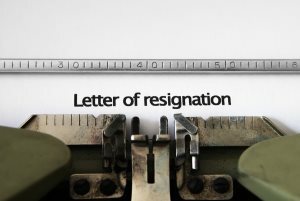 Is lack of growth making you consider leaving your current job? Or is it simply for financial reasons that you wish to move on? Before you go too far on that one-way street, have you evaluated the social, financial and other domino effects of being unemployed? Yes, being unemployed isn’t easy, especially when the next round of bills are slipped under the door. You might also find it socially challenging to go out and explain to everyone why you quit your job. Moreover, if you’re in a long-term relationship or have children, there’s even more reason for you to think twice. While you may have reasons for your decision, there are practical alternatives to quitting your job. Have you considered them? 1. Have you considered an internal transfer? If you don’t get along with a coworker or a newly appointed manager or have other serious reasons, an internal transfer is a healthy alternative. Look around and see if there’s another department within your company that may have a place for you. According to some career counselors and leadership gurus, contemporary professionals embark on alternative career paths every 5 to 10 years. This takes away the monotony from a particular job and provides you with a fresh challenge. Moving to another department with experience of working in your previous one may give you better understanding of the new job. There is no nix to having varied experiences. In fact, one can only supplement the other. 2. Join a cross-functional team to add variety to your work. Creating such a team, if there isn’t one in your present company already, may make you stand out as a creative genius. In case your office already has one, join in and voice your ideas. If you have an idea or two that sell, you could strike gold and find the motivation to roll your sleeves up every morning. 3. Consider asking for additional or new responsibilities. Talking candidly to your supervisor about diversification is another idea that works for many people. Besides, your boss may be trying to get a few things off his or her plate so they can focus on bigger things. Additionally, by taking on new responsibilities, you might earn yourself a favor with the person who matters most—your boss. 4. Ask for a raise or promotion if you’re feeling the economic pinch or if you feel like you’re stuck in a rut. If you do it right, you might not only solve a few problems for your boss but also augment your income. That’s a win-win situation. 5. As a last resort, you may ask for a short unpaid leave. This period will allow you to cool down, change your settings, consider your options and think more clearly. In certain end-of-the-world scenarios, leaving the company may be a good choice, but knowing that you considered all your options before walking away may make you feel better in the end. Final piece of advice: It might be better if you already had an offer before you resign. Simply put, you must ask and look for alternatives within the company otherwise you might miss out on opportunities that could lead to a resolution for whatever predicament you’re faced with. The biggest long-term benefit for you is that you stay where you are while you improve your job satisfaction.